Looking for alternative breakfast options? I love eggs and oatmeal and granola, but sometimes, these foods can be hard to digest and often create bloating and even inflammation. I am not 100% paleo, but I do know that when I eat fewer grains, I feel better, lose weight and feel less puffy. Helps control appetite and balances blood sugar. High in fiber, protein, minerals and antioxidants. Improves mood, memory and over all energy. High in anti-inflammatory omega 3’s. Known to lower cholesterol and blood pressure. Add it to my green smoothie to thicken and add protein. Make a breakfast porridge by adding fresh/dried fruits, nuts and seeds (can be served warm or cold). Add 2-3 tablespoons of canned pumpkin, some maple syrup and pumpkin pie spice (or cinnamon) for a soothing bedtime snack. Add some raw cacao and raw honey for chocolate chia pudding (can be served warm or cold). PS: When I first tried this recipe while attending Integrative Nutrition, I wasn’t a big fan. The consistency was a bit strange and it didn’t have much flavor; however, I kept reading about this amazing super food and continued to experiment with it. I began to notice the benefits and loved how it made me feel. I kept playing with it, because I am committed to nourishing myself in a way that allows me to look and feel amazing. Are you ready to look and feel amazing? 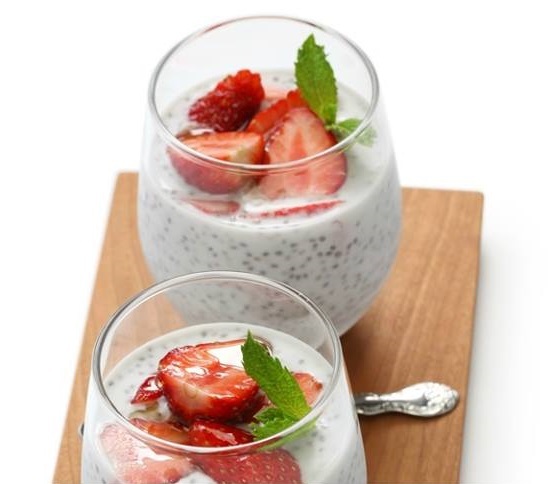 Chia pudding is a great place to start! I keep a jar of this in my fridge all the time. It's not only great for breakfast, but makes for an easy and fast go to snack option. The pudding will last up to 5 days. 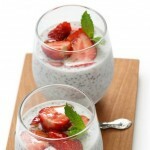 3-5 tablespoons Organic Chia Seeds Amount of seeds depends on desired thickness and size of jar. Give yourself permission to make this your own. The more seeds you add the thicker it will be. Find a consistency that works for you. Play with it. Allow it to meet your own bio-individual needs. The night before: Add chia seeds to glass jar. Fill jar with nut milk. Stir/shake well until chia seeds are well distributed. Set aside, while you cut up lemons for your morning elixir or load dishwasher after dinner, but continue to shake to prevent from seeds from separating. Once set a bit, place in refrigerator over night for optimal results. Enjoy in your green smoothie, or as a grain free porridge for breakfast (add nuts, seeds and fruit to taste).